Q3/Q4 performance: The agency was ahead of its forecasts on the first three quarters of this year. "We are close to closing our fourth-quarter budget and have a pipeline of work that could potentially take us ahead of that," says Jack Morton executive vice-president, managing director, EMEA, Julian Pullan. "The pipeline of activity we have now is similar to what we had 12 months ago, but it's better qualified." Staffing: There are no plans to restructure: "The reality is that the company is in terrific shape," says Pullan. Jack Morton will bolster its staff with three or four creative directors, strategic planners and data analysts dependent on the economy. Recent wins and highlights: Jack Morton has won more than 20 awards this year. 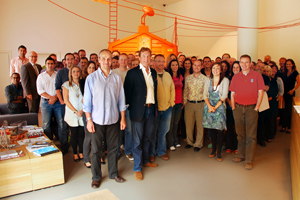 It was also named a Sunday Times 100 Best Companies To Work For firm, and employed 18 staff during the recession. Recent client wins include Samsung, Hyundai, Lexus GB and Thomson Reuters. Business plans for 2010: It is bolstering partnerships with sister Interpublic Group firms. "We are doing more work with sister companies to exploit and develop new products and enhance our skillset," says Pullan. Staff will work with clients to ensure briefs contain business objectives with key performance indicators. "It's essential to measure objectives and ensure they matter to the chief executive and the chief financial officer," he adds. Industry outlook: Pullan believes 2010 will be as tough as 2009. "Our clients say their spending patterns will be similar to 2009, plus government spending will decrease," he says. It will be 2011 before the industry starts to recover to a sustainable level, Pullan forecasts. He adds that the "overall talent level of the industry is low", and says that agencies should hire and train graduates to ensure the next generation of talent.